Did you know . . . that if you travelled due south from west central Wisconsin you would eventually come to the Galapagos Islands? You would also be at the equator at that point so, if you go, don't forget the sunscreen. 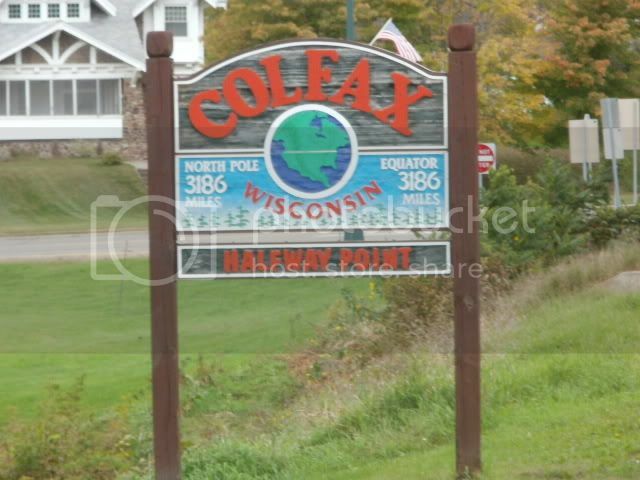 Thanks to Kris from Colfax for sending me this great sign picture celebrating west central Wisconsin's enviable position at 45 degrees north latitude. 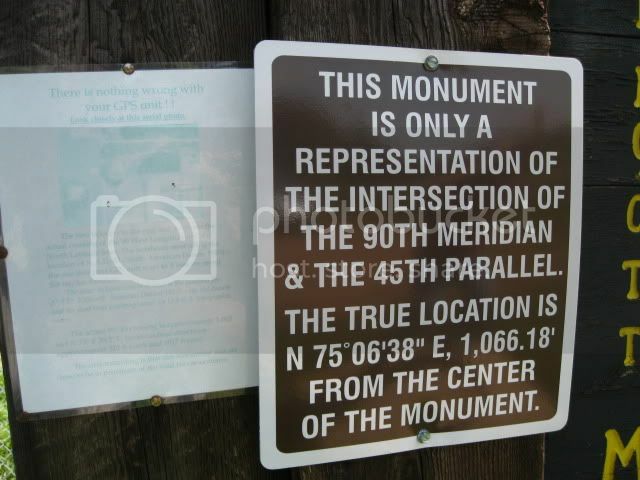 "It is here that the 90th meridian of longitude bisects the 45th parallel of latitude, meaning it is exactly halfway between the North Pole and the Equator, and is a quarter of the way around the earth from Greenwich, England." OK, actually the spot is in the middle of a privately owned field a ways away, not at the marker. 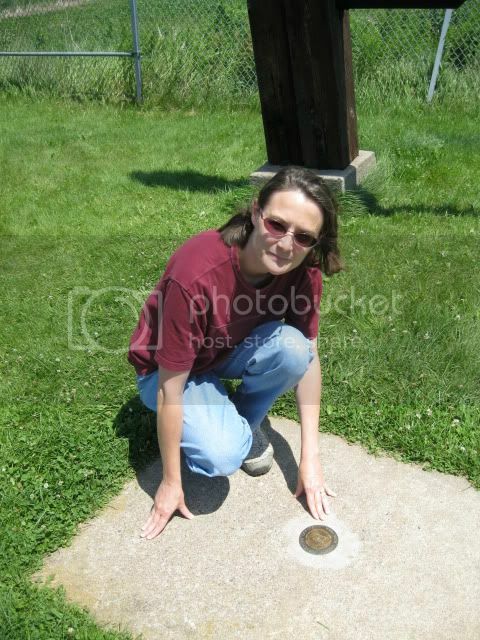 Here is a picture of me with the very small marker. Here is a picture of the big sign. 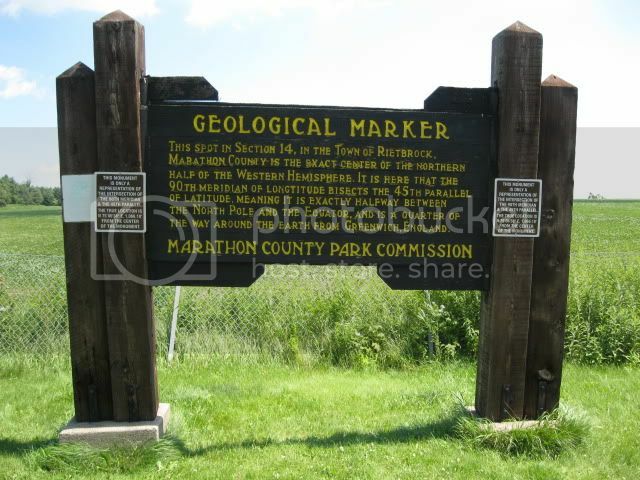 . .
(By the way, it also should technically be called a geoGRAPHICAL marker, not geoLOGICAL.) I like to tease about this but I think it is actually nice that west central Wisconsin can be so close to the center of things. More info and a map are available here. This marker is 4 miles of turns and backroads off of Hwy 29 so be careful not to get lost. 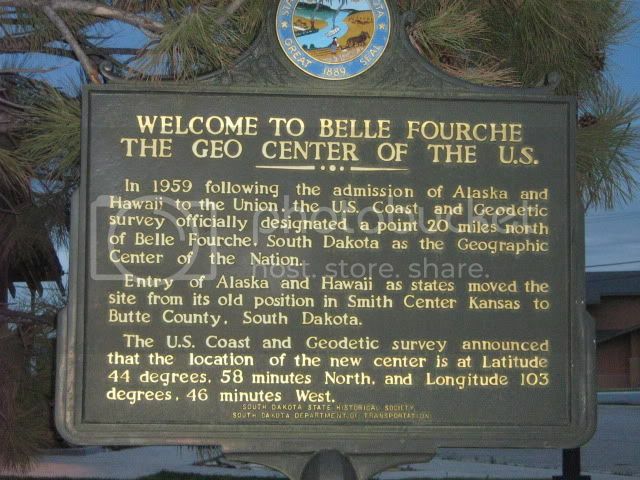 Here is a picture of me at the Geographical Center of the United States in Belle Fouche, SD. It is a very nice monument in an otherwise kind-of-scary town just north of the touristy-but-beautiful Black Hills area. You can see from the sign below that it isn't quite where it ought to be either. 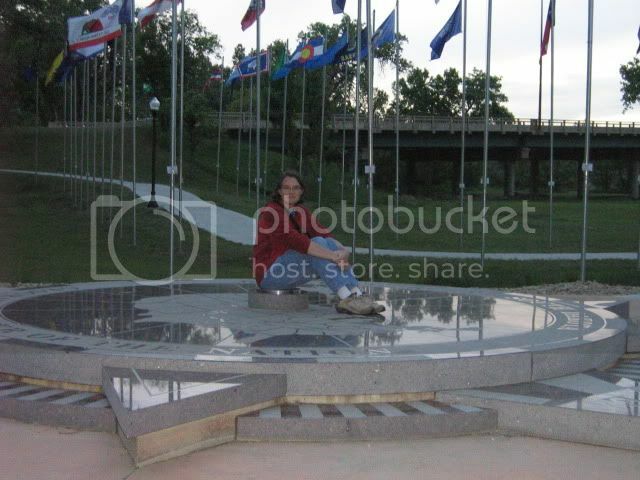 There's an interesting article on this called Geographic Center of USA is "moving" . And that ends Joyce's Collection of Misplaced Geographic Markers. Wisconsin Geological and Natural History Survey Maps - bedrock, vegetation, soil types . . .
Travel Wisconsin - Tourism maps and even extensive birding guides for free. I could not resist tossing this map onto the site. It shows which areas of the world are having daylight and which areas are in the dark at this very moment. Bet you were dying to know that. If you check back at different times of day you will see how the shadow moves.